In my previous article, I explained about organophosphate poisoning. I also wrote that in my experience the most common cases on poisonings I have seen in clinical practice are that of organophosphates, however, this is restricted majorly to south India. In north India, the most common form of poisoning is that of Aluminium Phosphide. Aluminium phosphide is a compound used as a fumigant in granaries. It generates phosphine gas that is toxic to insects, rodents and naturally also to humans. The patient usually consumes the compound orally and cases of inhalation of the phosphine gas are relatively unheard of. Once the poison is absorbed in the blood the most prominent toxicity is to the heart. Cardiotoxic symptoms are seen within hours in the form of hypotensive shock and vascular injury to end organs due to this shock. Arrhythmia and ECG abnormalities will follow. The respiratory system will also show distress with the formation of oedema, dyspnoea, or coughing. This is again due to the hypotension. Also, as a result eventually severe metabolic acidosis will develop. There is no biochemical test available to diagnose aluminium phosphide poisoning. Mechanism: Once consumed there is the release of phosphine gas in the stomach this is absorbed into the bloodstream. There on it is taken up by cells and acts at the mitocondria where it inhibits cellular respiration resulting in death eventually. The process is thus similar to death by cyanide. 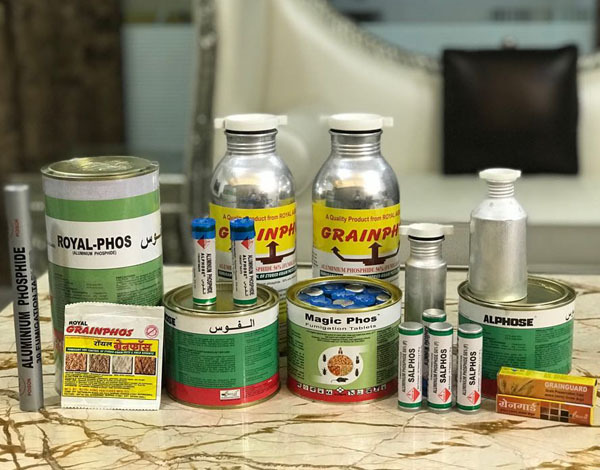 Treatment: since there is no antidote for aluminium phosphide poisoning, the main treatment is to treat symptomatically until the phosphide is excreted. Hypothetically if the dose ingested is too high the patient is unlikely to survive. The ingested phosphide is converted to phosphine in the body, thus excreted mainly by urine and breathing. The patient is treated by providing respiratory support, treating hypotension by saline infusion and dopamine. In case, ingestion has taken place just before patient arrival to the emergency room activated charcoal use is likely to be beneficial. Published by Raghuvir Keni Jr.
Hello there! Thanks for taking an interest in "The Keni Post". This is a blog written by Raghuvir Keni, a Pharm.D graduate from Manipal Academy of Higher Education. He is currently a doctoral fellow and likes to write in his free time. If you have any queries or would like to contact him or to have him post your writing feel free to email at raghuvirkeni@gmail.com View all posts by Raghuvir Keni Jr.